Gov. Andrew Cuomo, (D-NY), on how two murderers escaped from New York’s Clinton Correctional Facility. The FBI has joined the search for convicted killers Richard Matt, 48 , and David Sweat, 34, who became the first inmates to ever escape from Clinton Correctional Facility, a maximum security prison in New York located just twenty miles south of the Canadian border. 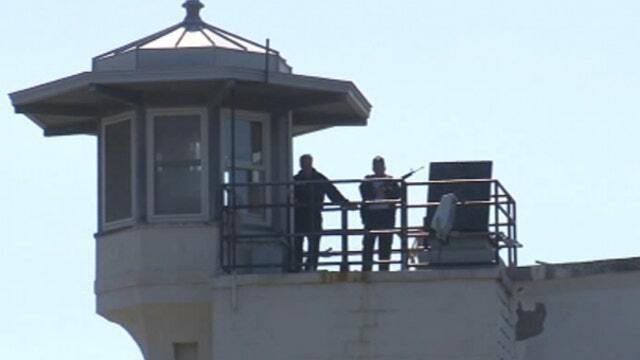 According to Governor Cuomo the escape was “orchestrated with great sophistication and detail,” and the first in 150 years for the maximum security facility. The two convicts exited from the back of the cell, scaled through catwalks, shimmied down tunnels and cut through steel walls and pipes before climbing through a manhole into a nearby street, according to authorities. “This obviously took days to do...It obviously took equipment that they shouldn’t have access to…and we are looking at the private contractors and some of the civilian employees to see if they were supplying the equipment that these people needed to do it -- because they obviously had to have assistance,” he said. Governor Cuomo said New York will do everything it takes find the escapees. “These are really bad actors…killers…murderers…They are going to be desperate. They killed once they’ll do it again, so we are doing everything we can to get them back…including [a] $100,000 reward offered by the state,” he said. Cuomo asked people with any information to call 1-800-GIVE-TIP.